I don't know how to attach files. If I can figure out how, I can post the dyne sheet. 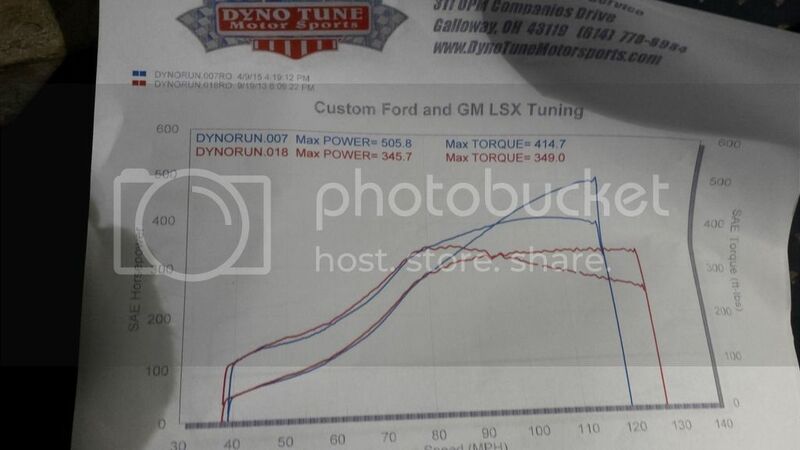 Sorry about the previous post, I think i might've figured out how to add the dyno sheet. It drops off so quickly cus I left off a lil early, why beat it up unnecessarily. I hope to get some numbers on here this summer. Been waiting forever to see what it'll put down. Enjoy life while you can, because you only have one shot. So go BIG or go home. I guess I can add my build to this list. 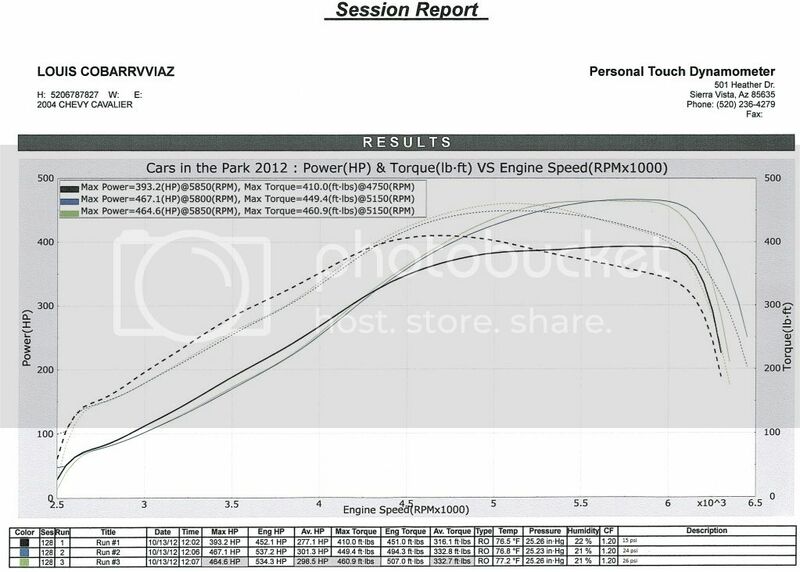 It "officialy" made 305.2 WHP 270 WTQ @27.71PSI. 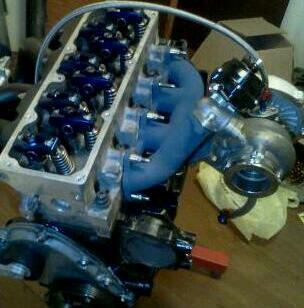 I hope to put down a bigger number soon; im fighting an electrical/throttlebody issue. I figured that stock 52mm was probably gonna have to go lol. Guess ill add my new power level to this. P.S. Andy (10 Underdawg..? 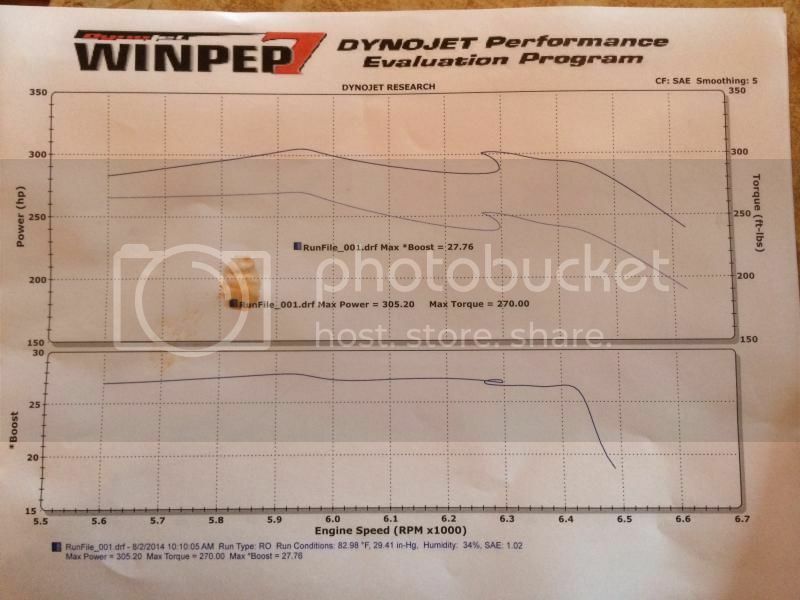 Andrew misner 452.86 hp 363.92 Tq 24psi Ecotec, Dyno Jet) has made over 500whp and still has the car, it's for sale acutally.